This is a tender, poignant story of love, destiny and adventure which also manages to be funny, clever and thought-provoking. It's the story of Emily and Sam, two young people from utterly different backgrounds. Emily has a comfortable home with a supportive family, while Sam and his little brother Riddle have spent their lives being moved from town to town by their dangerously unstable father. Both characters are well drawn and believable, but it is Sam who really steals the book: a classic romantic hero, strong, silent, compassionate and gorgeous. Riddle, who hardly speaks but takes comfort in his incredibly intricate drawings, is terrific too. Emily and Sam are soul mates, destined to be together, and ideas about fate are at the heart of the book. 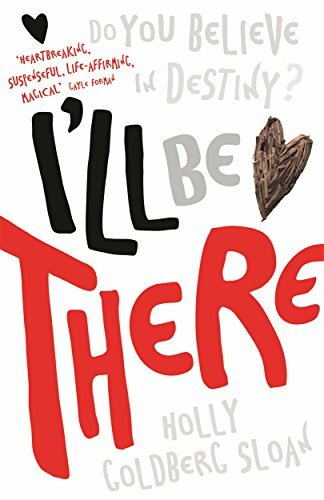 It is unusual among YA novels in being told from multiple perspectives – the author switches between the main characters but also lets us see events through the eyes of many others who play small but crucial parts in the story, building a sense of a complex web of connections in which every interaction is significant. These minor characters are also in the hands of destiny, and their lives are enriched by their encounters with Sam and Riddle. In some ways, I'll Be There shares the soul mate territory of vampire lit, but that serves only to highlight its originality, wit and heart. It's a hugely enjoyable read for lovers of romance, that isn't afraid to acknowledge and reward its readers' intelligence.